Some cottage garden favorites just do not work for us. Towering foxgloves just rarely tower, but Love in the Mist that’s a happier story. It’s true it doesn’t care for heat but still it loves spring here and adds a pretty airy charm to the early garden. 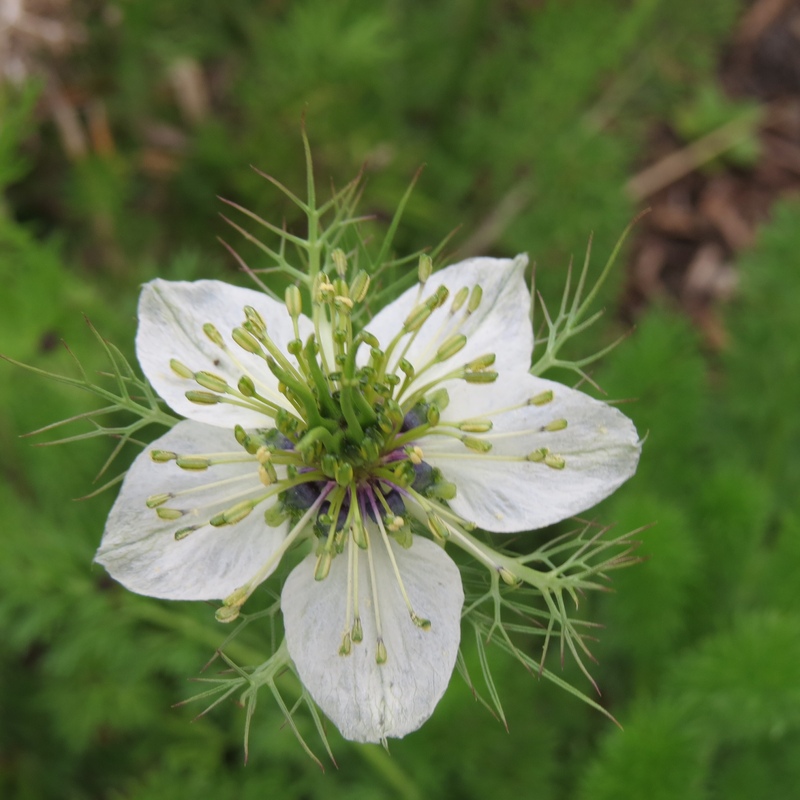 Its easy care as long as you remember Love in the Mist doesn’t like heat. 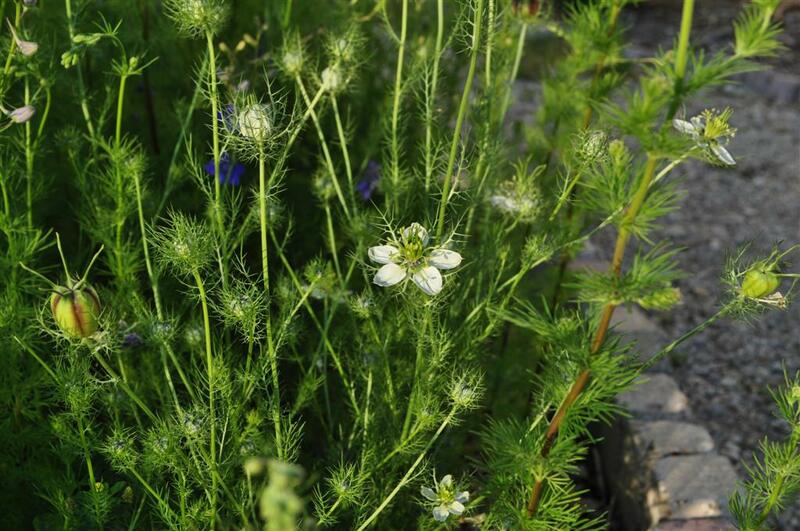 So the seeds are best planted in fall or early winter; the plants establish themselves over the dreary months and then grow amazingly fast and start to bloom when warm days arrive. The flowers are in shades of blue as well as pink and white with fine foliage that is a treat in itself. When flowering is done, the seed pods form. 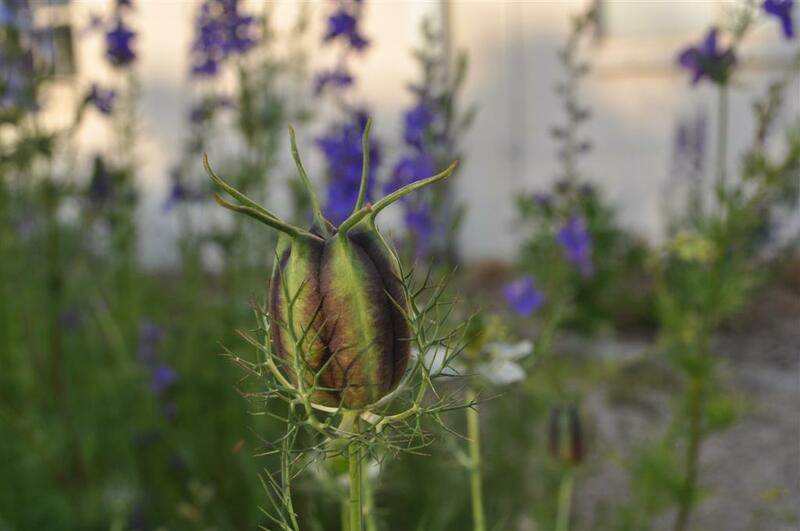 Posted in Seeds, Spring and tagged Cottage Garden Plants, Seeds to Plant in Fall, self seeding annual, spring blooms. Bookmark the permalink. Love this plant, wish I had some of the seeds. I will check tomorrow to see if we have some seeds to send and you might check with someone like Annie’s annuals.